4021Busath is an adorable home that is completely ready to move into. There are Hardwood floors throughout most of the home. Updates in the home include, a new roof, fresh paint and updated windows. There is a huge kitchen and a Master Suite on the second floor. 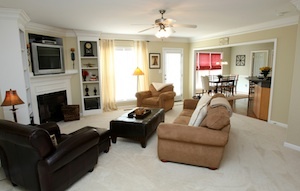 The Family room, complete with new recessed lighing, is spacious and open up into a full Dining room. There are 2 large bedrooms on the first floor and 2 more bedrooms, one being the Master Suite. This Cape Cod home has a large fully fenced yard with a one car Garage a beautiful deck, just stained and is located on the end of a park like Cul-De-Sac. The Sellers are sad to leave this near to shopping sanctuaryy. 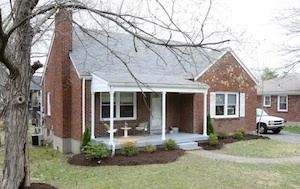 If you would like more information about 4021 Busath Ave Louisville Ky 40218, visit Louisville Real Estate. Lynn Thomas Sells Homes for 3.1% more than the average Louisville Realtor! 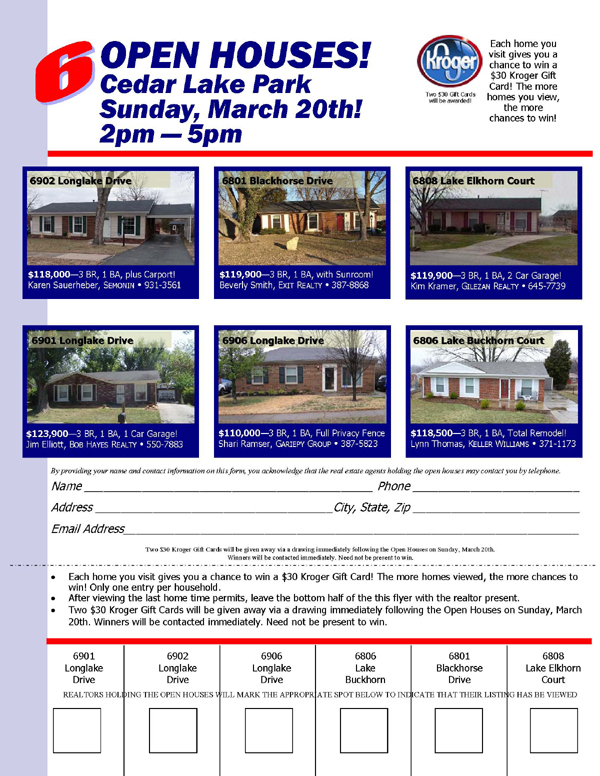 In reviewing the closed real estate transactions for the period of March 27, 2010 through March 26, 2011, the statistics from the Greater Louisville Association of Realtors show Lynn Thomas having obtained an average sale price of 98.4% of the list price. The average for the entire market for the same time period showed an average sale price of 95.3% of the list price. What does this mean to a home owner with their home on the market? If the home is listed for $200,000, the average realtor would obtain a sale price of $190,600. Lynn's average would show a sale of $196,800 -netting the seller an additional $6,200! The past year has consistently shown The Lynn Thomas Team listed properties receiving offers for 2% to 3% more than the average realtor's listings. Lynn, you rock! 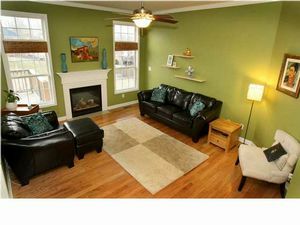 12314 Saratoga View Ct Louisville Ky 40299 is a huge 2 story home with a side entry 2.5 car garage. This home features a huge master bedroom and a bath with a corner bathtub. A large eat-in kitchen opens to a large great room with a gas fireplace. A walkout basement has a full bath roughed in to allow for a possible future finish. The appointments in the home include ceramic tile, hardwood floors in this quality build Medallion Home. Saratoga Woods Swim club memberships are available. This beautiful home has fresh paint, new carpet, hardwood flooring and shows incredible pride of ownership. The great room is extra large and opens up to the eat in kitchen. Other features in the great room include new carpet, striking built in cabinets, eye catching crown and dentil molding and a gas fire place. 12314 Saratoga View Ct Louisville Ky 40299 has an eat in kitchen with hardwood flooring, 3 floor to ceiling windows for natural light, a raised 'breakfast bar', plenty of maple cabinetry and plenty of prep and counter space! The formal Dining room includes new hardwood floors, more dentil and crown molding, and a bump out for the china cabinet so you entertain and still have extra room. Upstairs are large bedrooms with a huge master suite. This sanctuary has 2 sitting areas, plenty of room for a king sized suite of furniture, a master bath with separate tub and shower and plenty of natural light. This Home has a walk out basement ready to finish including a plumbed bathroom. Outside is a large deck in the back for entertaining. A first floor laundry and a neighborhood pool/clubhouse makes this a place you can call home. 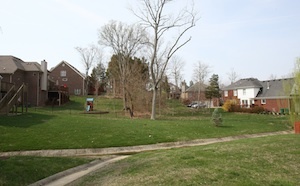 For more information about 12314 Saratoga View Ct. Louisville Ky. 40299, or other Homes in Saratoga Woods visit Louisville Real Estate. 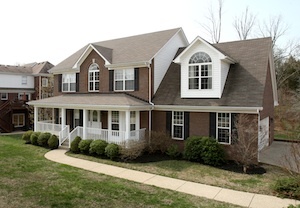 Contact us to schedule a showing of this home at 502-371-1173. The old adage that owning a home will build wealth is still true. Even with the current state of the economy, it's still true. So, are you a renter who's been on the fence about buying? Homeowner equity is a huge factor in the overall financial outlook for people. Even with the home price delcines experienced over the past couple of years, home owners have ended 2010 with a net worth much greater than that of renters. A very informative article written by a research economist is linked below. Absolutely Stunning Walk-out 1.5 Story in beautiful Oldham Woods. Come home to this spacious and open Cape Cod. You'll notice the hardwood flooring through-out the foyer and Great Room. Loads of light pour in through the large window that surround the beautiful fireplace and mantel. The Great Room flows directly into the expansive eat-in Kitchen where the household chef will enjoy plenty of cabinet and counter space (including a center island). The Kitchen is even large enough for a full Formal Dining Room Suite! Off the Kitchen is the first floor laundry. The first floor Master Suite is spacious and boasts a private Bath with a double bowl vanity, separate shower and extra large whirlpool tub! Upstairs you'll discover 2 very large bedrooms and a jack & jill bath. 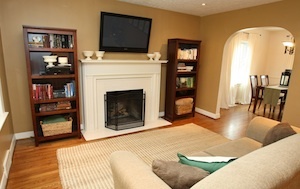 Move down to the walk-out basement and discover a perfect place to entertain family & friends! Nicely finished lower level has a gaming area that's large enough for a pool table, and a movie area. As a BONUS: there is a large office/guest room with an attached FULL BATH. 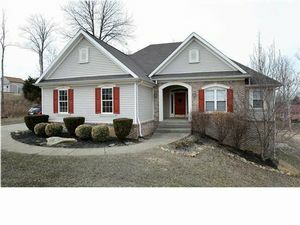 Combine all this with Oldham County Schools, a highly desirable area, extremely close proximity to shopping centers and highway access and this will make someone a happy homeowner in 2011!! For more information about 2308 Dogwood Cross Rd La Grange Ky 40031, or more Homes in Oldham Woods, visit Louisville Real estate..
Perry and Lynn Thomas went to whole foods and saw this amazing Coco Lite popping machine. It's fun to watch. Then they got home and ate them and found them to be the most amazing snack ever. They are yummy crunchy and very low calorie. 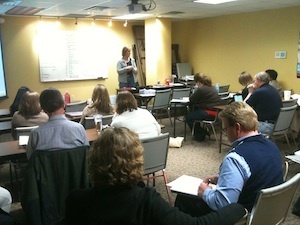 Kathryn Sotelo teaches Keller Williams Agents how to work with internet clients. Kathryn Sotelo shares the success she has working with online buyers. People search for homes online typically need a Louisville Real Estate Agent to help them. 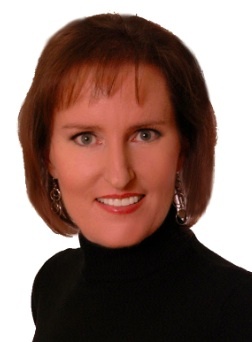 Kathryn has experience and expertise to help them get the home they love quickly for the best possible price. Kathryn Sotelo works with people online everyday. Every single day buyers online are looking for homes on The Lynn Thomas Team website. Online buyers can search for any home current listed on the Louisville MLS by going to www.LynnThomasTeam.com. Kathryn approaches those folks, offers her services and helps them purchase the home of their dreams quickly with the least amount of hassles for the best possible price. She has adopted a tried and true model of how to do that and offered to train the other agents in the office to that they too can be successful. So a room full of learning based Keller Williams Real Estate agents packed into the training room at the Keller Williams Louisville East office located at 1230 S. Hurstbourne Pkwy Suite 100 Louisville Kentucky 40222. They wanted to learn how how she does it. They asked excellent thoughtful questions about how it works and why. Kathryn was able to guide them on why an agents online presence is so critical. In, 2010, according the the National Association of Realtors, 90% of buyers started their search for their home online. Kathryn's thought is, 'as a buyers agent, an agent who represents the buyer in the purchase of a new home, why wouldn't I be online helping represent them in their new home purchase? As a buyers agent, I need to be where the buyers are.' The agents who attended the class are the best real estate agents in Louisville Kentucky. The agents loved the class. They were so grateful for the great information Kathryn so generously shared. Kathryn did a follow up with everyone willing to work with online buyers to Mastermind and share the results they had in their next meeting. Great job Kathryn. Sold in 4 days for 98.6% of the List Price! ABSOLUTELY STUNNING Highlands home that has been beautifully updated. This Gorgeous, Brick, 5 BR (1 is used as an office with French Doors), 2 Full Bath home includes a 2 car, heated with full electric, Garage! 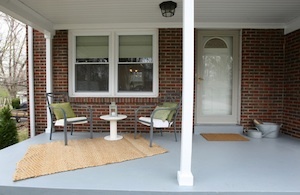 The owners have done extensive updates, upgrades and an incredible 2nd STORY ADDITION since moving in. There are replacement windows, dual-zone heating and cooling (always a PLUS in an older home! ), new roof (30 yr dimensional), refinished original oak hardwood flooring, added insulation on 2nd floor, some updated electric (200 AMP) and plumbing. The Kitchen has been renovated with SOLID CHERRY CABINETS, stainless steel countertops, new terra cotta flooring and exterior door to deck (just built using low maintenance TREX!). The 2nd floor was added in 2010 for an incredible Master Suite and a private Master Bath, a 4th bedroom and a separate HVAC unit. ALL THE TRIM AND WINDOWS WERE CUSTOM MADE TO MATCH THE FIRST FLOOR, keeping with the original design of the home. The Master bedroom has speakers discretely installed in the ceiling, a wall television mount with wiring for cable, sound, Cat 5 data, & HDMI. In the Spring, sit & enjoy the blooming perennials and the koi pond & water feature from your spacious deck. The yard is fully fenced (recent addition). All this AND a Sunroom, Formal Dining Room, Living Room with a working, GAS FIREPLACE, in a Fantastic Location! Walk to some of the best restaurants in town as well as Tyler Park! This home will go quickly so make an appointment today to see the splendor! For more information about homes in the Highlands or other homes in area 2 contact the Lynn Thomas Team.